One discussion theme which comes up now and again on fertility websites and forums is whether to put back one embryo or two when you are having IVF, and there are always people advising others to “go for two” because it will double the chances of getting pregnant if you “don’t mind” having twins. For anyone who is struggling to conceive, the idea of twins can seem hugely attractive – an instant family in one go – but it’s important to be clear that multiple pregnancy is the biggest risk from IVF treatment for you and for your baby. 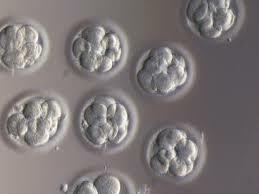 The best advice to anyone who is thinking about this as a dilemma is that you should be guided by the embryologists at your clinic, assuming you are having treatment here in the UK where your health and that of your babies is always put first when it comes to numbers of embryos to transfer. Most women should have one embryo put back, and two are only considered if you have had repeated unsuccessful attempts at IVF in the past, if you are older or if your embryos look less likely to implant. 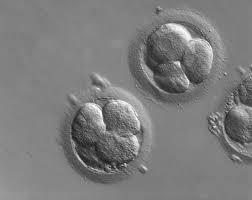 Putting two embryos back will not double your chances of getting pregnant. In fact, when single embryo transfer is based on your embryologist’s advice, it should not reduce your chances of getting pregnant and if you would have got pregnant with twins, you will still get pregnant with one embryo. A multiple pregnancy is more likely to end in miscarriage but this is not always considered when people are making decisions about how many embryos to transfer. Although we all know lots of twins who are flourishing and healthy, we don’t hear so much about those who aren’t. The increased risk of miscarriage, and of problems for the babies who are more likely to be born prematurely and may have disabilities or long term problems is very real. There are also risks for the mother such as high blood pressure and pre eclampsia and haemorrhage. You can read more about this here on the HFEA website. This is why the best fertility clinics – those who really have your interests at heart – have a good success rate and a low multiple pregnancy rate. When I talk about choosing a fertility clinic, which I have done each year at the Fertility Show, I can always see some people switching off when I come on to the risks of multiple births and why it is so important to check that a clinic doesn’t have a high multiple birth rate. After all, most of us know twins who are perfectly happy and healthy and wouldn’t it be great to get two children from one treatment cycle? The reality – as this article from Psychology Today (titled The Dark Side of Fertility Treatments: Lessons from a Neonatal Intensive Care Unit) explains- is often very different. I have seen at first hand some of the tragic endings from what has felt like a joyful story of successful IVF with a multiple pregnancy, and they are heart-breaking. IVF is a wonderful thing, but people who need fertility treatment should not be put at risk of more devastating upset by clinics putting back more embryos than clinically advisable. Responsible clinics have good success rates and low multiple pregnancy rates, and this is something worth remembering if you are choosing where to have your fertility treatment. Should patients be able to travel abroad for treatment? There’s a really interesting article here asking whether patients should be allowed to travel overseas for fertility treatment to a country which has different rules and regulations from those at home. We just assume that patients have the right to go wherever they want and do whatever they want, but this article is based on a report in European Journal of Obstetrics and Gynaecology and Reproductive Biology which considers the idea that there are moral issues for doctors in supporting patients who want to travel abroad to avoid the laws in their own countries. Apparently in 2012 the French Health Ministry sent out a warning to doctors that informing patients about egg donation overseas would carry a risk of five years in prison and a fine of 75,000 Euros because of concerns about human eggs being bought and sold – and in Germany and Turkey they have also had penalties for doctors referring patients overseas for certain treatments. You can find the report itself, from the European Journal of Obstetrics and Gynaecology and Reproductive Biology here, which argues that governments should be tolerant to patients who wish to travel for treatment and suggests that their doctors who refer them are trying to act in their best interests. However, the article from Fox News quotes a Japanese health researcher from Kanazawa University in Japan called Yuri Hibino who says that in Japan some hospitals are so worried by the risks of egg donation abroad, which can include multiple pregnancies and older mothers, that they won’t deliver babies conceived by egg donation. Although the idea of twins or even triplets may seem a great outcome from your fertility treatment, multiple birth is the biggest risk of IVF and here in the UK clinics have been actively trying to reduce their multiple birth rates. Now a new report from the Human Fertilisation and Embryology Authority (HFEA) shows that the percentage of multiple births has dropped from one in 4 in 2008 to one in 6 without any decrease in success rates. More and more patients are opting to have just one embryo transferred, and the best clinics have a very good pregnancy rate with a low multiple rate. Some clinics in the UK now have multiple rates below 10% although nationally the figure is around 15%. You can read more in the report from the HFEA and you can find a link and press release on the HFEA website. If you are in the process of choosing a clinic, it is important to look at the multiple rate as well as success rates as a low rate will give an indication that the clinic is thinking about the future health of you and your baby. I’ve had a couple of questions recently from people about success rates at fertility clinics, and it is clear that one thing that sometimes gets overlooked when you are considering the relative merits of different places is the multiple birth rate. In fact, it’s just as important to look at this as it is to look at the overall success. In the UK, clinics are actively trying to reduce their multiple birth rates as they recognise that this is the biggest health risk from IVF – the idea of twins can sound marvellous, but a multiple pregnancy can bring serious risks for both mother and babies. The overall multiple rate after IVF has gone down in the UK from one in four babies to one in six, and yet success rates have remained stable. This shows that by selecting the right patients for single embryo transfer, you can maintain good success rates while at the same time reducing the risks. If you want to know more, the One at a Time website is the best place to start. Some clinics overseas do still routinely put back three or more embryos – I came across a young couple a while ago who’d had five embryos transferred. This isn’t a sign of a good clinic trying to help you to get pregnant, but rather of a clinic which may not have your interests at heart. Even within the UK, multiple rates can vary hugely, so do check them out and remember that a really good clinic will have a good success rate combined with a low multiple rate. A new study reported in the Guardian shows that putting back just one embryo at a time during IVF doesn’t reduce the chances of having a baby. It is now policy in the UK to encourage transferring just one embryo whenever appropriate in order to reduce the risks associated with multiple pregnancies and births, but there has been some opposition from those who believe that this will inevitably reduce the chances of having a baby. The study presented at the British Fertility Society annual meeting in Liverpool focused on live birth rates at the Leicester Fertility Centre during separate periods before a single embryo transfer policy was adopted and afterwards – and found that there was no difference in the number of women who became pregnant, and an increase in the live birth rate – which should be hugely reassuring to anyone who is worried about the single embryo transfer policy. Of course, when you are going through fertility treatment you want to maximise your chances of success – and some clinics still try to convince patients that this will be done by transferring more than one embryo at a time. This study shows that it really isn’t the case for all women, and transferring a single embryo for those who are most likely to be successful will not reduce the chances of success but will reduce the chances of a potentially risky multiple pregnancy.